In 2014 when I first gave my presentation “Responsible by Design” at the British Library, my research found there was a growing need for sustainability and transparency in the fashion industry. Only 3 years later it is no longer a “growing need” and as such an option. It is a necessity. As humans we must treat others and our planet with respect if we want to survive and as businesses our end user is now demanding transparency more than ever. There is increasingly little place to hide our dirty secrets in the age of the Internet and social media, as so strongly shown in the recent Balenciaga scandal involving the unfair treatment of models during an AW17 casting call. As we sit at the cusp of a new era in ecology and treatment of workers, our civilisation has the opportunity to redefine itself in philosophical, technological and sustainable ways never before seen. It is a choice that can no longer be postponed for future generations who will hopefully not remember us as the generation who did nothing when there was still time to fight climate change. Global warming is a reality, backed by scientific facts. As I write this article, California’s perpetual wildfires are on the rise because of not delayed monsoons but diminishing monsoons due to warming oceans, the most recent fires have 20,000 natives evacuating the land as the fire burns through California. Sustainability has been and is on the rise. Innovations are ever more progressive and the mentality of empathetic consumerism is growing in the market. In this article we will cover what it means to be transparent as a business with informative examples and resources for those of you who would like to follow sustainable principles but are not sure where to start. Being sustainable starts with having a concern for the social impact of your company; from the way you treat your staff to the manufacturers and sub-contractors you work with. Start with a manifesto defining the codes of conduct. This means setting standards for workers’ rights, a healthy work environment, and an ethical engagement with the planet. By putting transparency at the heart of its business and creative process, Levi Strauss has succeeded in creating an authentic dialogue and bond with its audience. The product is designed to be durable and independent of fashion trends and changes the conversation about fashion to a place where a Levis jean may be turned into mulch some day and feed the plants in your garden. This creates brand equity and longevity that is centred on caring which is priceless. Organisations like Fashion Revolution push the question: “Who made your clothes?”. Aside from their yearly April event, they measure large companies and offer an array of resources including a Brand Transparency Index that was only conducted last year revealing the extent of clarity in the supply chain of leading international brands [The non-for-profit was born in the wake of the Rana Plaza disaster which killed over 1000 people in Bangladesh, exposing fashion’s lack of accountability] and ultimately serving as a wake-up call which pushed many large brands to enforce strict measures. However the fashion industry is still filled with poorly enforced legislation on wages, working hours, health and safety even down to how fashion interns are sometimes treated. Supply chains are often opaque with brands passing on responsibility for the way their products are made to sub-contractors. The market for clothing is worth $1.3 trillion, employing tens of millions and with a scale that large, the social impact is vast, from the treatment of female workers to the plight of garment workers in Europe making clothes for major brands. Some brands have created online tools for transparency. Nudie Jeans provide an interactive production guide which maps out the Swedish firm’s suppliers and transportation with an audit summary and photographs of people and the factory facilities. Luxury Jewellery brand Brilliant Earth is advocating certainty and giving clients full engagement in regards to the process involved thus solving a very millennial problem for the demand in ethical and transparent goods. Research shows that nearly 40% of millennials are more likely to buy a product or service that is made in conscious efforts. And according to Fashion Revolution’s most recent report, Levi Strauss is setting the benchmark by radically redefining transparency. Other leaders are Bruno Pieters and his pioneering e-shop Honest By founded when sustainability was still an eccentric idea. Everything, from the enormous amounts of fertilizer and water consumption on cotton fields to carbon-dioxide emissions from leather and zipper manufacturing, impacts the environment. We cannot ignore the true costs and must take responsibility for reducing our environmental footprint. Here are some of the many inspiring independent brands making a difference. The myth that sustainability within business is costly needs to be erased. The cost savings to your business surpass the loss; engage in recycling and choosing renewable resources when it comes to light bulbs and energy suppliers. Then continue to vet your suppliers and question the origins of their materials as well as labour force. Given below are examples of brands measuring their footprint and emissions on the planet as a result of production. They are also giving back to the local community through volunteering in environmental efforts or raw materials developments. French ethical footwear label Veja 5 years ago pledged to total transparency and have become known for their playful designs as well as raising awareness of wild Amazonian rubber, a renewable material that can provide locals with a source of income without damaging or cutting down trees. United by Blue, a USA based responsible goods brands focused on outdoor products removes one pounds of trash from the ocean for every product sold. Pure Waste Textile offers sustainable yarns, fabrics and ready-made garments. As its T-shirts are made from 100 per cent recycled textile waste, no new cotton needs to be grown. This translates as a saving of 2,700 litres of water for every Pure Waste T-shirt produced. As water becomes a scarce and endangered resource, more companies have embarked in recycling waste to protect our oceans. 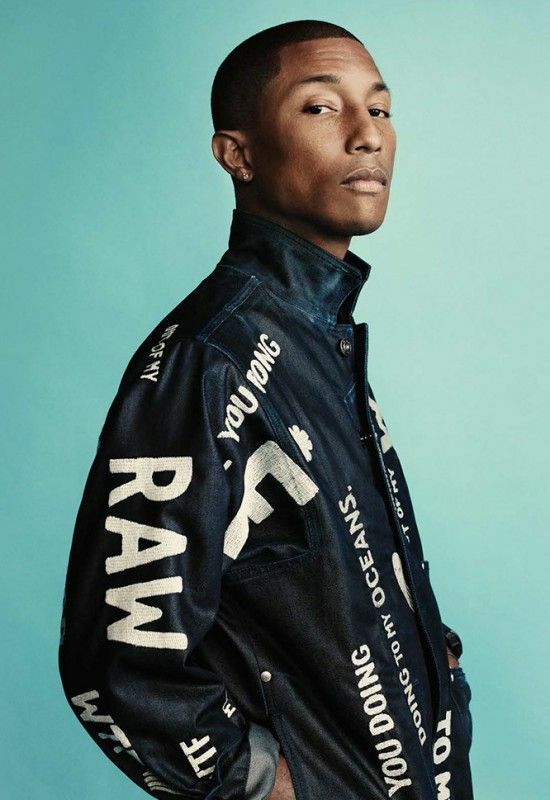 G-star’s “Raw for the Oceans” collection uses denim manufactured from plastic waste and Adidas’ sneaker collaboration with Parley is similarly manufactured. Consider, as small as your operation may be putting someone in charge of sustainability research and/ or development to make sure you stay up to date and are part of the change. Do not shy from mimicking large corporations such as Nike who have their own Chief Head of Sustainability Office. An interesting way of looking at the cost of global warming is extracting how much our neglect is costing us and how much nature’s wonders provides for us on a purely financial level. A study from the Danish apparel sector quantifies the price we take from the ecosystem for our clothing by adding in the use of water, fertilizer, and energy along the entire supply chain. The results show one cotton T-shirt can cost the planet more than 20 Danish kroner ($3.40). If you run this across the industry, clothing consumption in Denmark alone costs more than DKK 3 billion ($510 million) every year. In the video “A Bee's Invoice” the organisation We The People explains the hidden value of natural capital by breaking down the dollar value of the environment and how it contributes to the economy. Moreover, the British Fashion Councils latest iteration of its Positive Fashion initiative- the Fashion Switch programme will encourage brands to switch to green energy providers by 2020. A number of companies have already signed up, including Kering, Selfridges, Belstaff, E Tautz, Christopher Raeburn and Stella McCartney. It is undeniable that sustainability makes good business. A recent study by giant consumer goods company Unilever shows a third of consumers prefer sustainable brands. An estimated €966 billion opportunity exists for brands that make their sustainability criteria’s and methods clear. The Unilever brands that are putting transparency at the heart of their business are growing 30% faster than the others in the corporation's portfolio. Now more than ever companies should adopt sustainability not simply for good PR or as a trend, but more so as a part of the DNA of the brand identity and a means to grow alongside the conscientious client of the future. 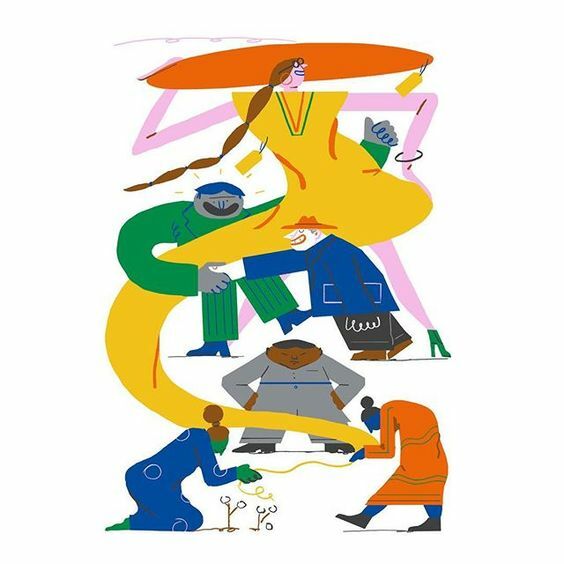 Bringing the ethical narrative forward is Eco-age, responsible for The Green Carpet Awards, promoting responsible craftsmanship especially in the luxury goods sector. Their “Made in Italy” campaign celebrates the Italian producers that champion ethical practices, and spotlight sustainability success stories thus encouraging the Luxury Italian houses such as Prada, Gucci and Armani to affect an ecological change in their craft. Positive Luxury is also an advocate of progressive design. It is a platform for which customers can identify brands that are aspiring towards the same positive lifestyle they are implementing. The butterfly mark award certifies a commitment to sustainability and differentiates the name to establish trustworthy products and services for consumers. The challenge for smaller companies is balancing cost implications with business opportunities but sustainability can drive profit by spending less on energy and materials, which can result in financial savings and higher profits. The scale of improvement is surprising. Justin Keeble, Managing director at Accenture, states that there is an estimated £61bn opportunity for productivity improvement by using fewer materials in the UK Alone. So if sustainability becomes a competitive edge, how do you fulfil the commitments needed to be responsible, to be ethical, to be more environmentally friendly? It doesn’t happen over night but it starts with embracing transparency. Nike learnt to embrace sustainability the hard way, after a few scandals but also by understanding it was the gateway to the future. A good resource to look into from the design side, at the start of product generation is the Nike’s Making app, an open-source tool for designers to know the environmental impact of materials by scoring them based on properties such as chemical processes, energy, water consumption and greenhouse gas output. Since 1996, The TEN Textiles Environment Design has been developing and refining a set of sustainable design strategies for textile and fashion designers. This is a toolbox created to help designers understand the complexity of sustainability issues and to offer solutions for designing 'better'. In terms of textile fibres and manufacturing, Canopy style is an agency fighting deforestation offering information on solutions on how to exclusively use forest friendly fabrics. In terms of fighting fabric waste, Zero Waste fashion created by David Andersen. By using every piece a fabric panel, working with zero-waste is a challenge that encourages finding new solutions with garment constructions and fostering innovation in the design process. There is also the idea that as designers and retailers, we can be doctors for objects on the brink of ending in a landfill when they could be given a second life. The philosophy of circular design and circular economy is perhaps the most radical thinking we can practise in the future of design. It is asking us to review and remove ourselves from the fundamentals of the consumer structure as it is now which starts from taking recourses from the land (oil, cotton), making it into a product then this item reaching an end life as waste. But how about bending this linear structure into a cycle in which there is no end for the product? Instead it is reborn into another design and so forth. Circular Design Guide is a consultancy doing just this. They want to enable designers with the tools to think in a truly modern way. With a physical guide on the site listing methods and exercises you can do from your kitchen. It is challenging designers to work towards an environment where innovation within the product and service is infinite. Cradle to Cradle is also a company empowering circular economy to bring radical shift in design and thus the societal landscape. The hope is that in the future sustainability and transparency will become ubiquitous. So much so that the inherent values of transparency will not even need to be mentioned anymore. It will be assumed as part of any normal company’s core beliefs and processes.